Don’t miss out on a single play that can propel your team to another Touchdown and a League Championship. The Best Flag Football Plays book has over 300+ pages of plays and an Advanced Strategies section that will equip your team to win more games. After years of compiling the best strategies and passing concepts for a successful football team, the author has crafted the plays found in this book to transform any football team into a strategic force to be reckoned with. Dillon Hess feels awkward writing this section about himself. He supposes that he should just write about football since that is what this book is all about. Dillon was a two-time Texas All-State Quarterback at Colleyville Covenant Academy in Colleyville, Texas. He threw for over 5,000 yards passing and scored 70 total touchdowns during his high school football career. He played four seasons of college football at Beloit College where he was the captain his senior year. 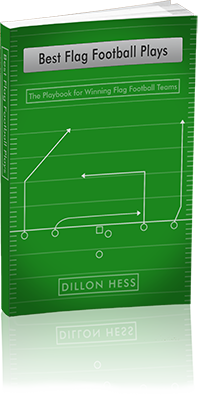 If the Best Flag Football Plays book sells enough copies to make him a multi-billionaire, Dillon plans on buying an NFL football franchise and making himself the starting Quarterback. The Best Flag Football Plays book is the best way to transform your team and develop the strategy needed to become a winning flag football team. 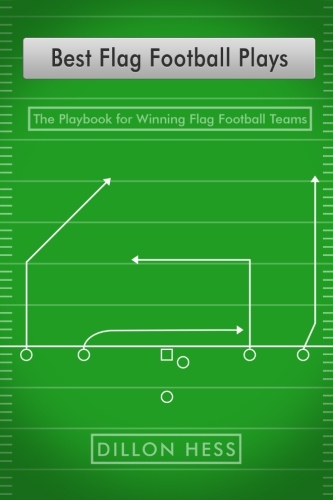 First and foremost, however, this book is not just for Football games played with Flags. This book contains a plethora of passing concepts and strategies that can directly be implemented into any form of football competition. While this book was originally created in response to the increasing popularity of Intramural and Recreational Flag Football leagues, the same principles and strategies can be applied to any type of Football. This can range anywhere from touch football games in the back yard, to Pop Warner youth football games, to 7-on-7 High school tournaments, to Division I College football games played on ESPN. These plays and strategies can be leveraged across any level of modern football to help you score touchdowns and win games. Touchdowns are waiting to be thrown. The Goal Line is waiting to be crossed. The End Zone is waiting for your team to celebrate. Find out how to get there through the plays found in this book.